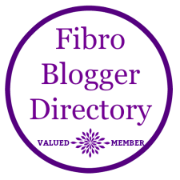 Persons with living fibromyalgia are usually on the receiving end of caregiving. So it becomes a bit of a challenge when they become the caregiver. Sometimes the only energy you have is that which carries you through the day, and have no spoons left for anyone else. So how does one cope with a flare and self-care when presented with the challenging of caring for somebody else?